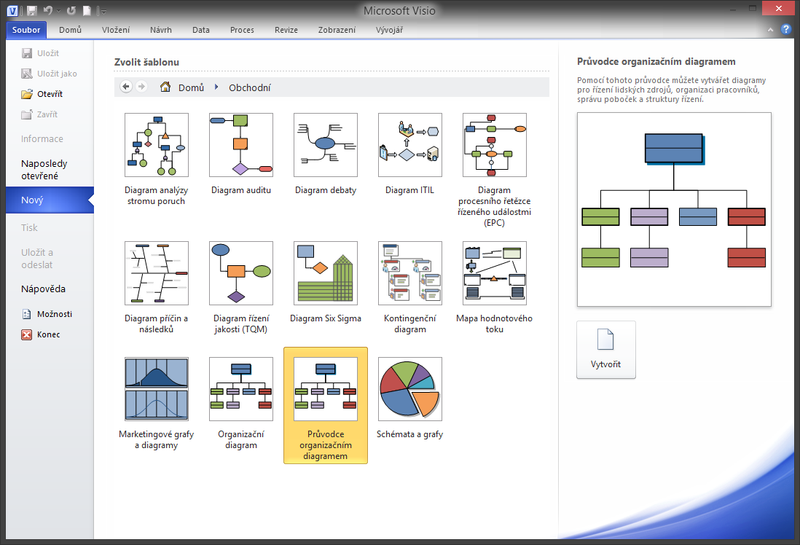 Did you know that it is possible to make organizational chart in Visio by simply a few clicks from the table in Excel? In addition to the standard procedure dragging shapes from a stencil to a drawing this program has integrated data import wizard. Step by step the can user go through uploading data from another file, and by its structure it automatically deploys supervisor and his subordinates to the drawing. Do not believe? Continue reading this tutorial. 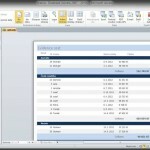 Column names may be different, because the data import wizard allows to leave the selection of specific identification of columns to the user. 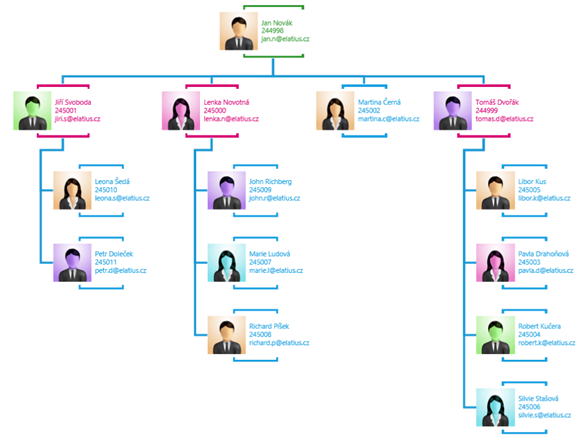 Field ID and Parent see picture “Organization chart” shows who has what superior. The main supervisor can be only one and he has no superor (Jan Novák). 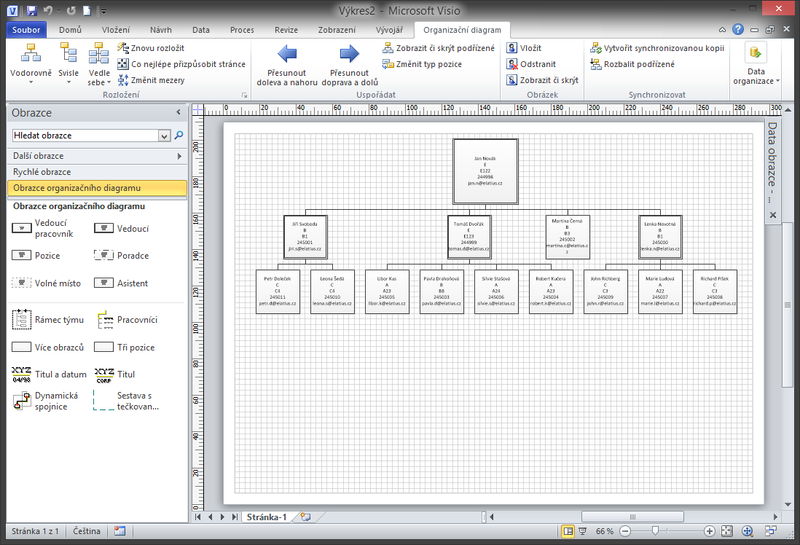 Table is required to be closed before you run the wizard in Visio. Source file used for this example can be downloaded here. 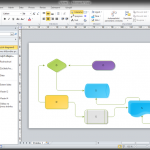 In Visio, create a new file by choosing File > New. 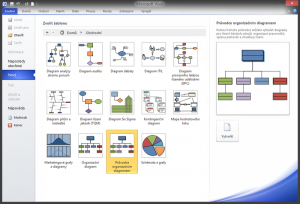 In the business category, we find Organization Chart Wizard. Option to create activates the wizard. The individual steps of the wizard can be found in the gallery below. Part of the guide is a description of each step. 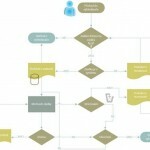 step – we choose, whether we have already prepared the data file. 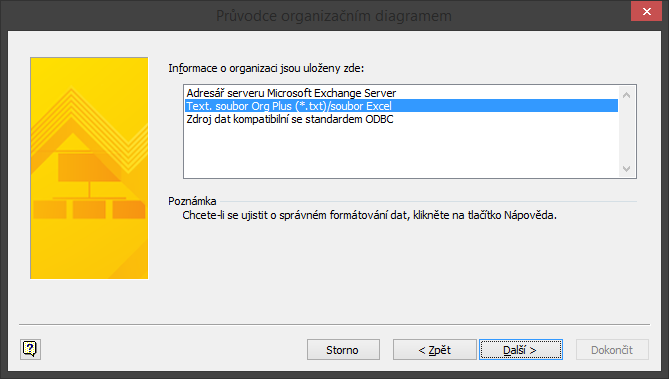 step – we choose the type of source file (in our case Excel). step – load a specific source file. 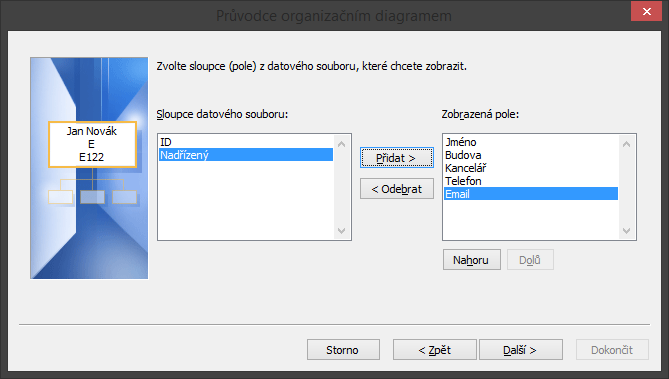 step – sets which fields from our table represent identifiable information to a person. 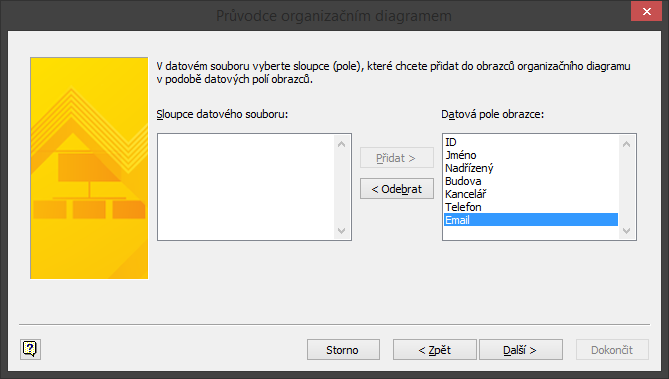 ID field in our table is associated with the field name in Visio – this field must have a unique information about the person. step – we choose which information you want directly see near the individual shapes. step – which fields are stored in the shapes data. step – we choose automatic or manual arrangement of shapes in a drawing. 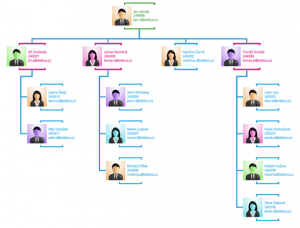 After completing the wizard it creates automatically distributed organizational chart. After editing and applying the images / photos to individuals can be achieved even such nice picture.